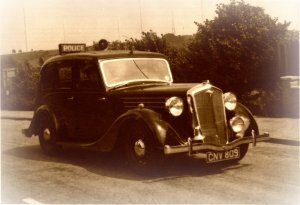 New Law and Order exhibition opens at Daventry Museum. Inspired by its collection of Civic Regalia, Daventry Museum's new exhibition, 'Law and Order' tells the story of how order was kept, and looks at the different types of punishments imposed on criminals in Northamptonshire from the early 1800s onwards. 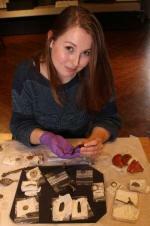 Meet the new Finds Liaison Officer for Northamptonshire! Eleanore works for The Portable Antiquities Scheme, a partnership project which records archaeological objects found by members of the public in order to further our understanding of the past. If you want to find out more about the scheme please click on the link below or come along to the Finds Event at Daventry Museum on Friday 20th January 2017 from 10.30am to 2.30pm. 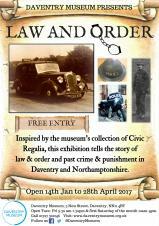 Law and Order exhibition at Daventry Museum.